The pool is located at 4850 Drew Forest and opens on week-ends in May and for the season when Humble ISD semester ends. After the Memorial Day weekend, the pool will be closed on Mondays. After school starts, the pool will remain open on weekends only through Labor Day weekend. Pool cards will be distributed in the community on Saturday, May 12, and Saturday, May 19, from 1 p.m. until 3 p.m. After the community pool pass distribution dates, residents may submit an online application or mail in a registration form to obtain their pool passes. There is a $10 deposit for each pool access card obtained, which is refundable upon return of the card in working condition should you no longer reside in the community. For cards obtained through C.I.A. Services there will also be a $10 non-refundable administrative fee charged per card. Everyone listed on the pool registration form for your household will be allowed access under the same card. One card will be issued per household. Pool photo ID cards will no longer be required or distributed for pool access. Pool Parties - To book a pool party contact Aquatic Advisors of Houston. 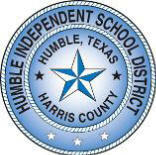 Open full time starting the day Humble ISD ends Spring semester. The park has swings and a play fort and is located next to the pool at 4850 Drew Forest. Also located in the park is a picnic pavilion that is available to Timber Forest residents at no cost. To schedule a private event time for the pavilion, contact CIA Services Customer Care and see Pavilion Use below. A granite walking trail, about 1/4 mile in length was added in 2017. Please keep bicycles and other motorized vehicles off the trail. The park is open every day from dawn until dusk. The covered pavilion adjacent to the pool may be reserved by residents of Timber Forest for private events. Homeowners are eligible to purchase an access card for $15 to be able to use the pavilion on a first come, first served basis. Tenants must reserve the amenity to be issued a temporary key card for access during their event - tenants will be required to pay a $50 deposit, which will be returned to them upon confirmation the pavilion was left in good condition after their event, with trash and decorations being removed, and return of the key card. All reservations are required to pay a non-refundable $25 administrative fee via check or money order, payable to CIA Services. Reservations are strongly recommended for all private events to ensure the pavilion will be available during your desired time. Reservations will have first priority. You may visit www.ciaservices.com to submit an online reservation request. You may also e-mail customercare@ciaservices.com or just come into C.I.A. Services Humble office at 8811 FM 1960 Bypass Rd W, Suite 200, Humble TX 77338, anytime Monday - Friday between the hours of 9 a.m. and 5 p.m. The Board of Directors is a group of volunteers elected by you to maintain the quality and integrity of the community. The board meetings are held bimonthly on the third Wednesday of odd months in January, March, May, July, September and November. The meetings are held at CIA offices. Meeting notices are posted on the website no later than 72 hours prior to the meeting. All exterior alterations or improvements to a property must be reviewed and approved in advance of construction by the Architectural Control Committee (ACC). Residents must submit a home improvement application describing the work to be performed. The ACC will review the request and render a decision within 30 days. If it is not approved as submitted, the ACC may provide suggestions for making changes so it can be resubmitted for approval. To complete your application, click on Ask. Request. Submit. There you will enter all of the information needed in order for the committee to make an informed decision. Any applications dealing with the exterior appearance of the house (such as painting or roofing) must be accompanied with project details or the application might be disapproved for lack of information. Also include a plat map or survey of the property that indicates the project in conjunction to the property lines and easements when applicable. As soon as you have gathered your information, you are ready to get started. Visit the Community Documents page to review all of the governing documents or click Architectural Guidelines. The assessments are due on January 1st of each year and provide for services in the community. Every owner has an obligation to pay the annual assessment. If you do not receive a statement, please submit an accounts receivable request to C.I.A. Services to confirm your balance and ensure it is paid on time. You may submit your payment by mail, in person, or on-line. Best Trash 281-313-2378 began curbside garbage collection services in April 2018, due to Eco Waste going out of business. Regular trash will continue to be picked-up on Monday and Thursday. Heavy trash is picked up once a week on Mondays. 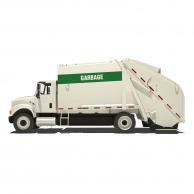 For more information on trash service guidelines click here. Our streetlights are maintained by Centerpoint. If a light is out or blinking, please call Centerpoint Energy at (713) 207-2222. 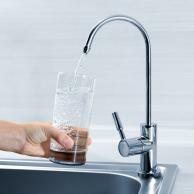 Alternatively, problems can be reported online by clicking here. Make sure to have the address of the light and the 6 digit pole number. Timber Forest has additional Constable patrol services as part of the shared contract between Precinct 4 Constables and multiple communities in the Atascocita area. To view the monthly Constable patrol report click here. Harris County Public Health and Environmental Services - Veterinary Public Health works in partnership with the public to create a safe and healthy environment for animals and people. 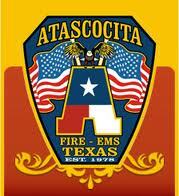 After many years of community fundraising, the Atascocita Volunteer Fire Department (AVFD) was incorporated in 1978 in the State of Texas. From one pumper truck to now 3 stations within the Atascocita area and numbering 100+ volunteers in Fire and EMS, this entity has served our neighborhood well over the years. They also have a beautiful antique fire truck that is used in many local parades.